Love With Food’s monthly snack boxes are filled with natural, organic, and gluten-free options with nutritious, clean ingredients. Each box offers healthy snack alternatives made with no added chemicals, high-fructose corn syrup, trans fats, or artificial flavoring. 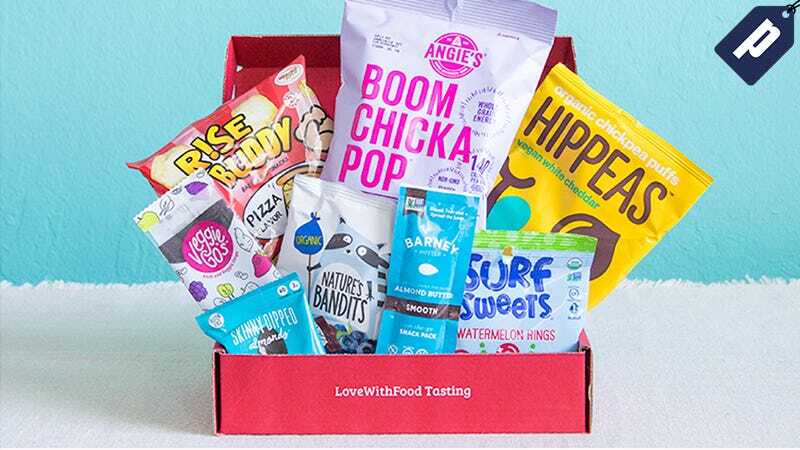 Discover new daily treats and use code JEZEBEL to save 40% plus free shipping on your first Tasting Box (7+ surprise snacks), that’s just $6 when you choose a monthly plan. Full details here.